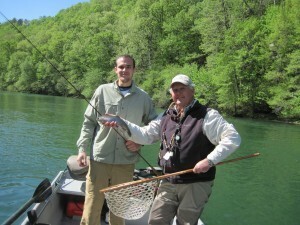 Last Friday and Saturday we got to enjoy some fly fishing with Kevin and his son, John, who are both from Memphis. 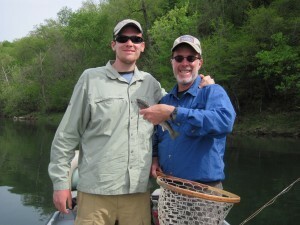 On Friday we fished the Little Red River and the next day we went north up to Rim Shoals on the White River. Bo really enjoys theses father and son trips I think because it reminds him of all the great trips that he got make with is Father. 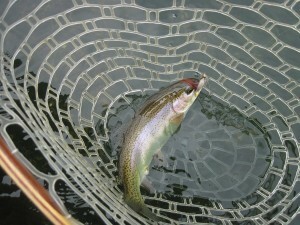 We had big storms last Thursday evening which made both rivers a little difficult to fish. Regardless the guys hung in there and caught some nice fish. 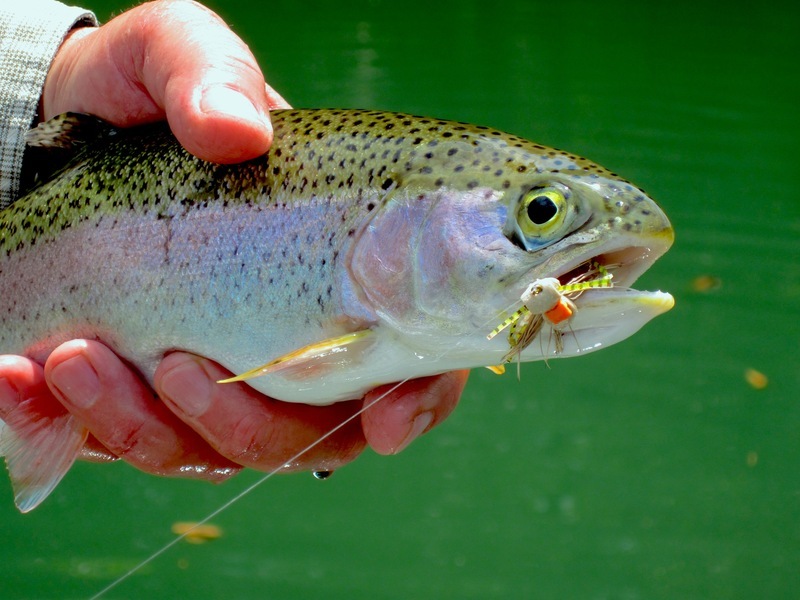 John caught his first Rainbow on a streamer which you can see in the net with a Chuck’s Chunk in his mouth. We went through a bunch of different flys but the old standby #14 dark gray Sowbug proved to be the best. After we finished fishing on Saturday Kevin and John headed off to the Ozark National Forest to do some hiking and camping along Syalmore Creek.